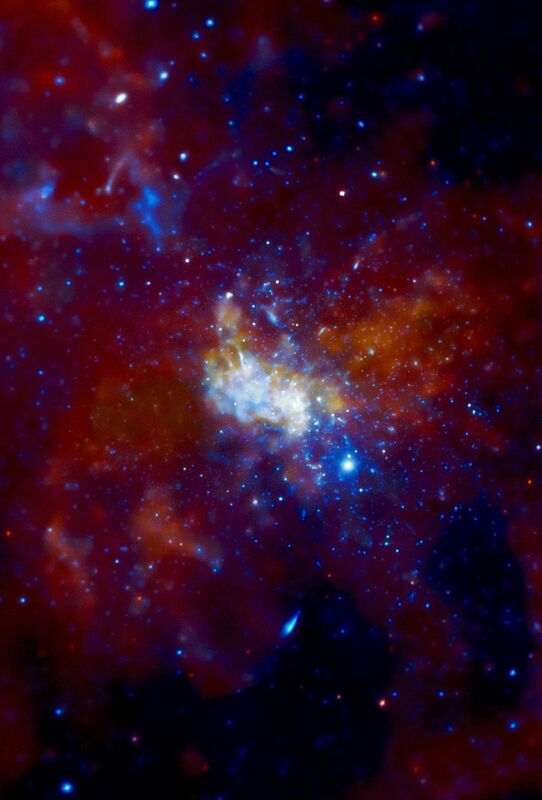 Astronomers have long known that the supermassive black hole at the center of the Milky Way Galaxy, known as Sagittarius A* (or Sgr A* for short), is a particularly poor eater. The fuel for this black hole comes from powerful winds blown off dozens of massive young stars that are concentrated nearby. These stars are located a relatively large distance away from Sgr A*, where the gravity of the black hole is weak, and so their high-velocity winds are difficult for the black hole to capture and swallow. Scientists have previously calculated that Sgr A* should consume only about 1% of the fuel carried in the winds. However, it now appears that Sgr A* consumes even less than expected - ingesting only about one percent of that one percent. Why does it consume so little? The answer may be found in a new theoretical model developed using data from a very deep exposure made by NASA's Chandra X-ray Observatory. This model considers the flow of energy between two regions around the black hole: an inner region that is close to the so-called event horizon (the boundary beyond which even light cannot escape), and an outer region that includes the black hole's fuel source, the young stars, extending up to a million times farther out. Collisions between particles in the hot inner region transfer energy to particles in the cooler outer region via a process called conduction. This, in turn, provides additional outward pressure that makes nearly all of the gas in the outer region flow away from the black hole. The model appears to explain well the extended shape of hot gas detected around Sgr A* in X-rays as well as features seen in other wavelengths. 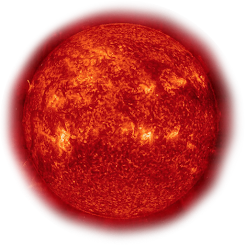 This Chandra image of Sgr A* and the surrounding region is based on data from a series of observations lasting a total of about one million seconds, or almost two weeks. Such a deep observation has given scientists an unprecedented view of the supernova remnant near Sgr A* - known as Sgr A East - and the lobes of hot gas extending for a dozen light years on either side of the black hole. These lobes provide evidence for powerful eruptions occurring several times over the last ten thousand years. The image also contains several mysterious X-ray filaments, some of which may be huge magnetic structures interacting with streams of energetic electrons produced by rapidly spinning neutron stars. Such features are known as pulsar wind nebulas.